The Wilson One45 BLX squash racquet is a brand new all-round racquet with an easy to swing weight to make this frame a perfect introduction into the BLX feel revolution. This racquet benefits from an improved feel made possible through integration of BLX. Users of the One45 BLX will benefit of the ultimate combination of power, control and feel. Basalt is a natural volcanic rock that can be used in manufacturing and made into ultrafine gold fibers that are resistant to vibrations. Basalt fibers are woven longitudinally with Wilson’s [K]arophite Black to create a composite Wilson says is the most advanced in the industry. 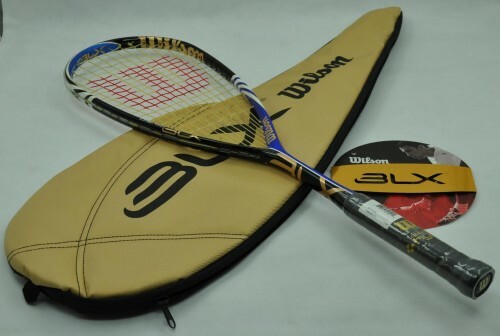 Squash players of all levels, skill and experience can benefit from the ultimate feel that BLX provides.